Some of you have asked for another set, so I'm more than happy to take on that challenge. Here is the next set. 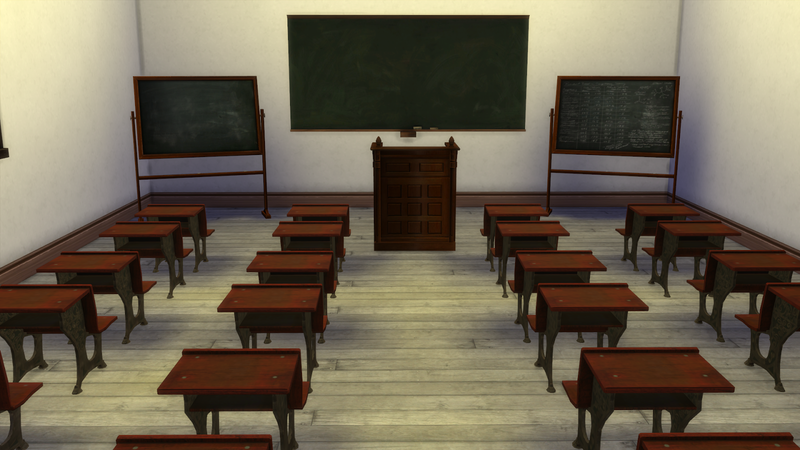 A Victorian school room. 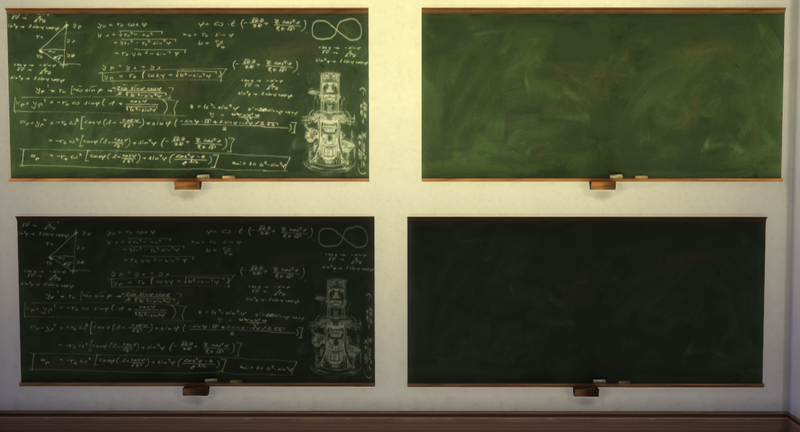 There are 4 recolors of each of the chalkboards as shown in the images below and are deco objects found under paintings and clutter. 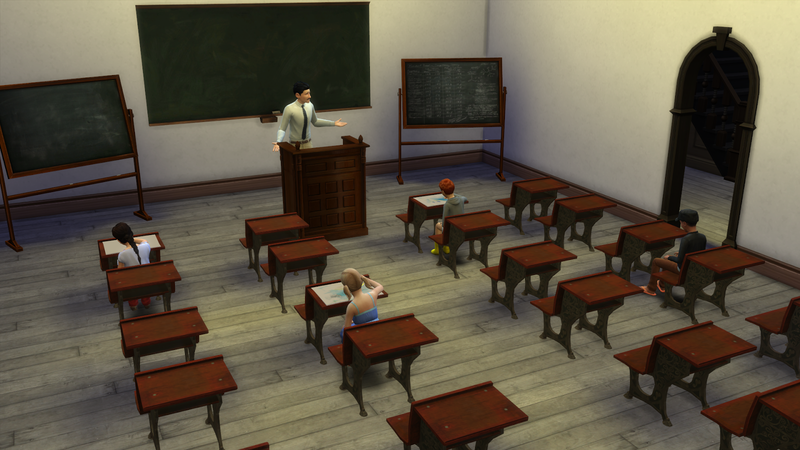 The children's desk was cloned from a children's activity desk so it is functional (there is slight clipping - couldn't be helped) and the lectern was cloned from a mirror so a sim can practice speech or psych self up to appear to be teaching...or they can change their clothing and appearance (not much I could do about that). As always, ENJOY! Amazing work! 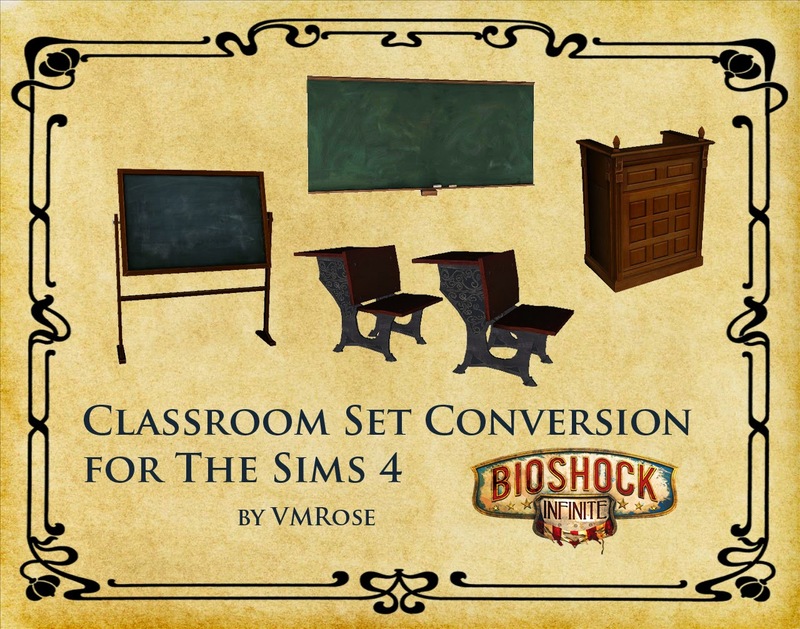 Bioshock is a great game and with Sims it's even better. Thank you! Maybe, there is a possibility to see some science stuff from Lutece Labs from you? I couldn't find your TOU, would you mind if we recolored the chalk boards to fit a modern school? Sorry for the late response. Recolor away! I don't mind. than you for sharing such great items. i love them! But i want to also ask if i may recolor them. 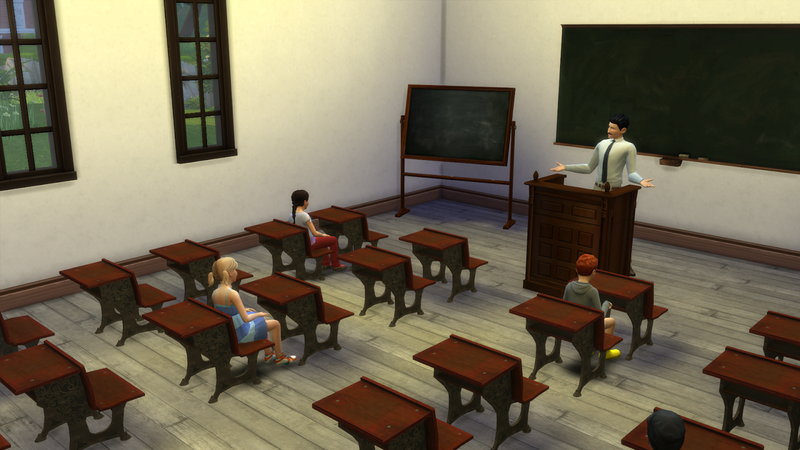 For high school it suits well but for my elementary school i want try some recolors. Go for it. Recolor all you want. 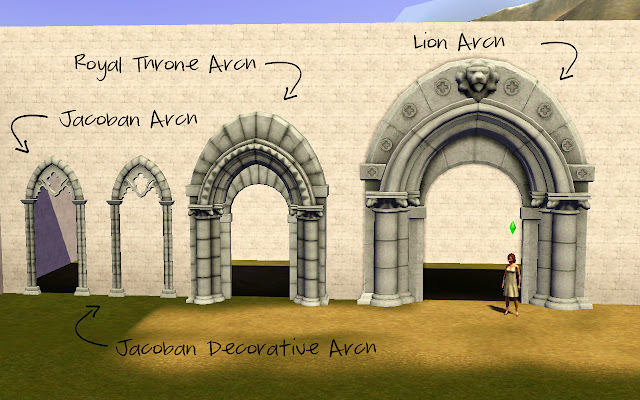 Is there anyway this you can convert this for Sims2. 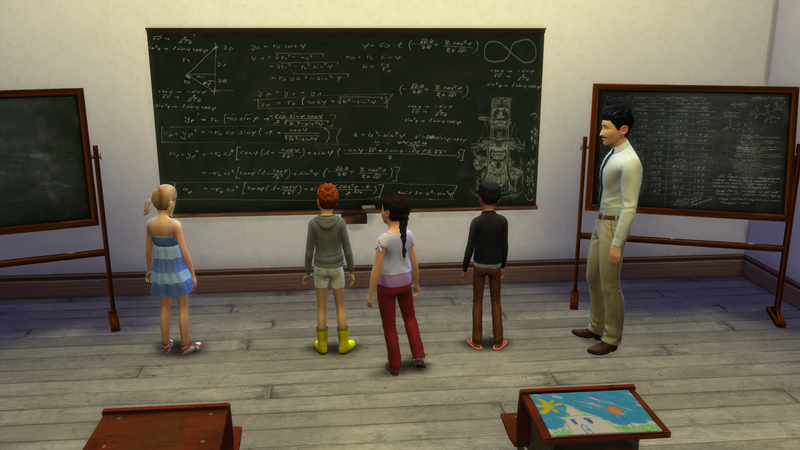 I am still struggling with Sims 3 and 4. I'm afraid not. Someone has already converted them for sims 2. Start a google search and you'll find it. I'm still here. A big move and new job have kept me very busy. What's your question?